Landlords can charge a tenant for damage to a rental property that goes beyond normal or fair wear and tear. Nearly all the disputes about keeping money back from deposits relate to disagreements about what exactly comes under the definition of normal wear and tear. Landlords need to make this call – and be prepared to back their judgment with evidence if required to do so at independent adjudication should a tenant lodge a complaint against having money docked from the deposit. The problem is the term ‘normal wear and tear’ is not defined in law, but the definition comes from years of rulings in disputed cases before the courts. A judge or adjudicator is likely to consider normal wear and tear as damage or deterioration to a property arising from normal usage. That triggers a debate about normal usage, which varies from case to case. For example, normal usage in a family home with a couple of toddlers is vastly different to that in a property lived in by a single pensioner. Damage may include – writing or drawing on walls; holes in walls or woodwork; nail holes that need filling and repainting; carpet stains; burn marks; ripped soft furnishings or missing fittings. The problem comes if the tenant’s deposit is not enough to cover the cost of cleaning and repairs. In many cases, a tenant who mistreats a buy to let property is likely to have rent arrears as well. Experienced landlords will know that the tenant cannot dispute retaining the deposit to cover unpaid rent, so allocate that against the deposit first, then match the rest to the more difficult to prove items, like cleaning and damage. This reduces the burden of proof before the adjudicator or court for a landlord. Issue the tenant with a written deposit itemisation detailing the specific amounts kept back from the deposit for each item, like £325 unpaid rent or £125 for carpet cleaning and attach a copy of the bill to show how you arrived at the amounts. The next decision is whether to pursue a guarantor or the tenant in court for the costs not covered by the deposit. If the guarantor owns a home and the agreement with them covers losses arising from damage, then send them a bill – if they do not pay, consider legal action. Tenants are unlikely worth chasing through the courts as they are unlikely to have the means of repaying a judgment against them, although the judgment is likely to prevent them from renting privately as the details will show on any credit reference. 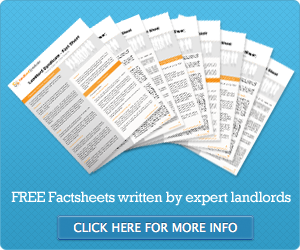 ← Who pays for rental property damage?